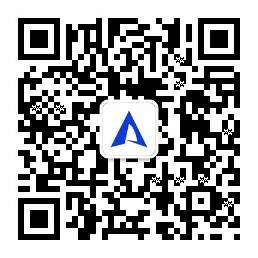 Antion (Beijing) Information Consulting Co. Ltd. (‘Antion’) is a regulation consulting company engaged in services provider for food industry. Antion takes advantage of abundant resource superiority and technical capacity, responding to customer demand and providing food safety information monitoring, standards & regulations management, standards & regulations consulting, professional translation on food field and other food safety regulations consulting services for clients. Antion is committed to supply timely, comprehensive, professional and normative service of food safety information monitoring, database of standards and regulations, standards & regulations consulting, food label review, professional translation on food field, government public relations maintenance and etc. for food production enterprises, government organizations, research institutes, industry associations and etc. Service scope covers Mainland China, Hong Kong, Macao, Taiwan, Japan, Korea, United States, European Union, Australia and other major countries or regions. Antion’s service team is full of passion and awareness of teamwork with abundant work experience of government departments and regulation consulting services, which all the members have food professional or correlative expertise background. Meanwhile, Antion owns professional advisory group that is consisted of experts from government agencies, regulators departments, and several well-known food firms, providing you with professional, comprehensive and timely information consulting service of food safety, standard & regulations, information management, inspection and quarantine, government supervision, nutrition & health and etc..
Antion has rich experience in major customer service, and serviced hundreds of multinational corporations and well-known domestic food enterprises. We will provide you with professional, accurate and efficient food safety regulation consulting based on the notion of attentiveness and focus to protect your product from risk. Antion is committed to supply timely, professional service of food standards & regulations consulting for multinational & domestic food production enterprises, government authorities, research institutes and industry associations. Providing professional translation, including food laws and regulations, standards, testing methods, literature of science and technology, products descriptions and other text. Supporting inter-translation among Chinese, English, Japanese, and Korean. Products compliance consulting, feasibility assessment of new product development, analysis summary of standards & regulations, information analysis, industry report and etc. Formulation evaluation, label audit and label design for import and export food. Compliance audit services of domestic food label. Providing consulting services on application of novel food ingredients, new food additives, new varieties of food related products, application of expanding the use scope of the of food additive, and etc. Promoting and managing communication in daily events and maintaining a good relationship between enterprises and government departments. Strengthening participation and communication in the process of food standards establishment. Providing food safety incidents’ technical support and coordination of public relations. Auditing on internal compliance and operation of the system, and providing the improvement opinions and suggestions. The enterprise internal compliance system construction and process management consulting. Providing whole compliance management outsourcing service, including product selection evaluation, product labels, product distribution, customer complaints response, advertising, and etc. Professional event at home and abroad: exhibition promotion, site-visiting, market investigation and etc. International communication and cooperation: technology research & development, brand introduction, production and process, capital cooperation, and etc. Focusing on food-related information at home and abroad, including food regulations, government notice, negative news, latest alert, food safety incidents, latest issues and other relevant information. Covering mainland China, HK, Macao, Taiwan, US, EU, Japan, Korea, Australia, New Zealand, and etc. Being reported by Daily report, Weekly report, Monthly report, Wechat, Online information platform and etc. For important events or latest incidents directly related to customer, we are able to provide progress tracking, special reports, early warning and response solutions from the perspective of technical regulations. Through online database to integrate and classify laws, regulations and standards on food safety, limits data, Q&A from ministries, meetings information, and etc. with the function of the online real-time update and inquiry. Covering mainland China, HK, Macao and Taiwan, America, EU, Japan, Korea, Australia, New Zealand and other countries; AOAC, CAC and other International organizations. Including food regulations database, online limits database, special topic, cases, standards and regulations online consultation, and etc.